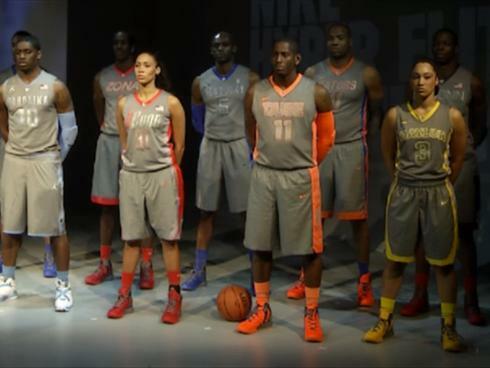 At least that is what they make it seem like with the new line of Nike Hyper Elite Platinum uniforms that were unveiled on Wednesday. 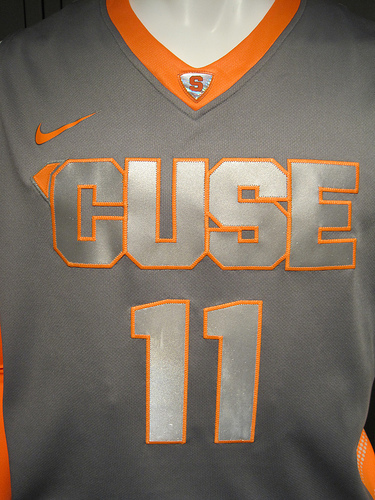 Nine teams (both men and women) will go to a new, sleek gray look for one game each this season. If you’re a fan of Arizona, the Baylor women’s team, Duke, Florida, Kentucky, Connecticut (men’s and women’s) or North Carolina, look out for some changes in your team’s look very soon. There will also be a change-up in the name displayed across the uniform for most teams (UConn, Kentucky and Baylor escaped that fate.) For example, Syracuse will have “Cuse” written across the front, while Duke will have “Blue Devils” broken across the numbers. If these were going to be the permanent uniforms for any of these teams, I would definitely have a problem with it, but since from all indications, it will just be a one-time shot, they’re fine by me. Here’s a more in-depth look at the Syracuse uniforms courtesy of blogger Nunes Magician. UConn vs. Notre Dame (1/29), Kentucky vs. Tennessee (1/31), Duke vs. Maryland (2/11), Baylor (women’s) vs. Texas A&M (2/11), Florida vs. Tennessee (2/11), Syracuse vs. USF (2/22), Arizona vs. UCLA (2/25), UConn (women’s) vs. Notre Dame (2/27) and UNC vs. Maryland (2/29). Enjoy them if you choose to, but remember they will likely be a one-and-done experiment.